Creating a brand is never easy, especially when the goal is to reach an audience ranging from parents to millennials. We paired with LightWorkers Media to create a visual system that is carried throughout their print, digital, and video content. Their image is fresh, versatile, and speaks to their mission of bringing good through their content. The visual identity includes a system of kinetic logo variations, iconography, and animated assets. 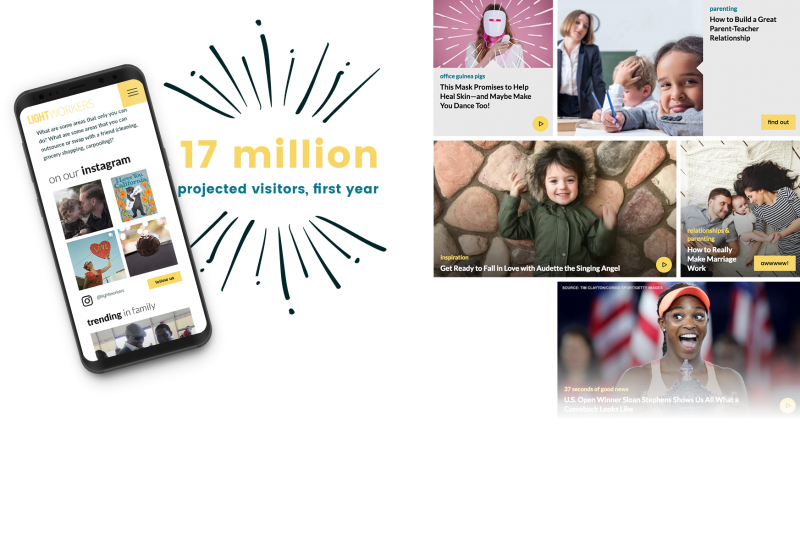 Additionally, we worked with their team to create a digital platform that highlights their extensive editorial content, with back-end ability to program the different verticals within their site. The site is integrated with capabilities for highly customized video recommendations, ad sales, and branded sponsorship.